Zhu SJ and Pearson BJ. Cell Reports. 2018; coming soon. Comparative transcriptomic analyses and single-cell RNA sequencing of the freshwater planarian Schmidtea mediterranea identify major cell types and pathway conservation. Swapna LS, Molinaro AM, Lindsay-Mosher N, Pearson BJ, Parkinson J .
Genomoe Biology. 2018; Aug 24;19(1):124.. The true colours of the flatworm: Mechanisms of pigment biosynthesis and pigment cell lineage development in planarians. Lindsay-Mosher, N and Pearson BJ. Seminars in Cell and Developmental Biology. 2018; S1084-9521(17)30194-5. Myths vs. FACS: what do we know about planarian stem cell lineages? Molinaro AM and Pearson BJ. Int J Dev Bio. 2018; 62(6-7-8):527-535. The planarian TCF/LEF factor Smed-tcf1 is required for the regeneration of dorsal-lateral neuronal subtypes. Brown DDR, Molinaro AM, Pearson BJ. FOX and ETS family transcription factors regulate the pigment cell lineage in planarians. He X, Lindsay-Mosher N, Li Y, Molinaro AM, Pellettieri J, Pearson BJ. 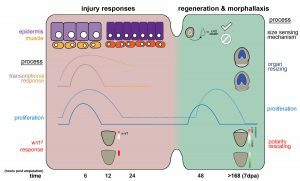 Yorkie is required to restrict the injury responses in planarians. A Brain Unfixed: Unlimited Neurogenesis and Regeneration of the Adult Planarian Nervous System. Frontiers in Neuroscience. 2017; 11:289. 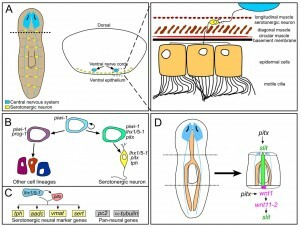 Nervous system development and regeneration in freshwater planarians. Ross KG, Currie KW, Pearson BJ, Zayas RM. Wiley interdisciplinary reviews. Developmental Biology. 2017; 6(3). Neuronal sources of hedgehog modulate neurogenesis in the adult planarian brain. Currie KW, Molinaro AM, Pearson BJ. 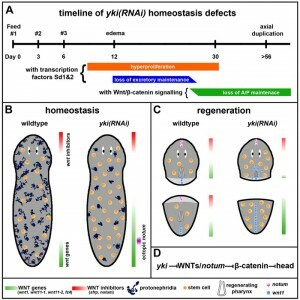 (Neo)blast from the past: new insights into planarian stem cell lineages. Current Opinion in Genetics & Development. 2016; 40:74-80. Light-induced depigmentation in planarians models the pathophysiology of acute porphyrias. Stubenhaus BM, Dustin JP, Neverett ER, Beaudry MS, Nadeau LE, Burk-McCoy E, He X, Pearson BJ, Pellettieri J. 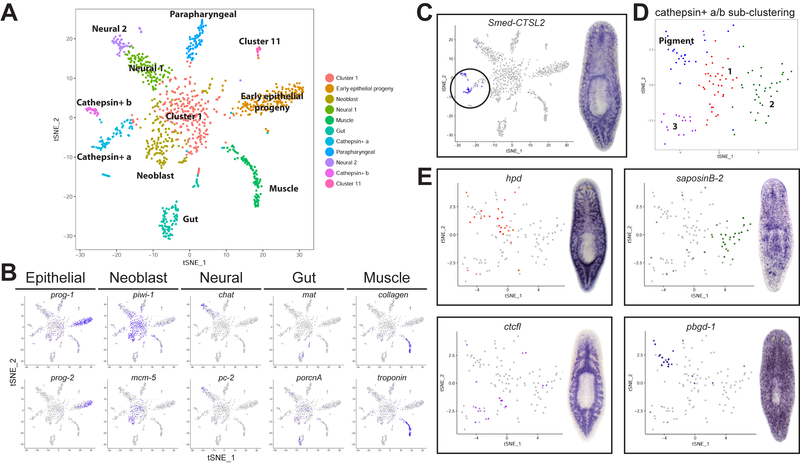 In silico lineage tracing through single cell transcriptomics identifies a neural stem cell population in planarians. HOX gene complement and expression in the planarian Schmidtea mediterranea. Currie KW, Brown DD, Zhu S, Xu C, Voisin V, Bader GD, Pearson BJ. 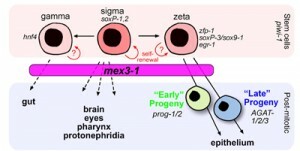 A mex3 homolog is required for differentiation during planarian stem cell lineage development. Zhu SJ, Hallows SE, Currie KW, Xu C, Pearson BJ. 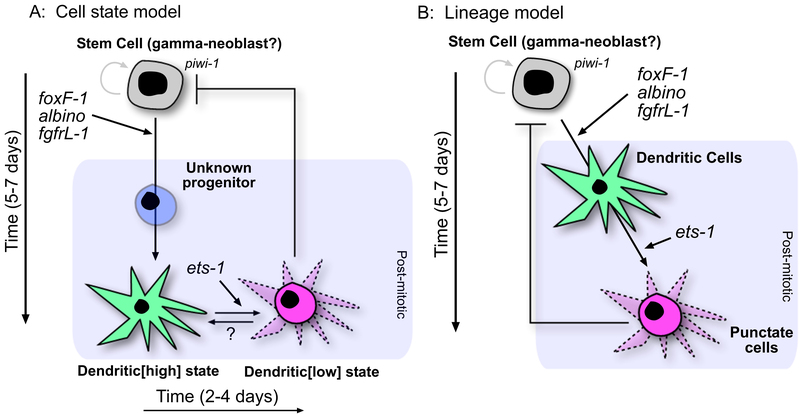 An in vivo requirement for the mediator subunit med14 in the maintenance of stem cell populations. Burrows JT, Pearson BJ, Scott IC. Stem Cell Reports. 2015 Apr 14;4(4):670-84. Planarian yorkie/YAP functions to integrate adult stem cell proliferation, organ homeostasis and maintenance of axial patterning. Smed-dynA-1 is a planarian nervous system specific dynamin 1 homolog required for normal locomotion. Talbot JA, Currie KW, Pearson BJ, Collins EM. Biol Open. 2014 Jun 20;3(7):627-34. 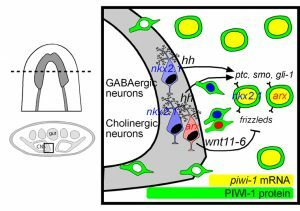 Transcription factors lhx1/5-1 and pitx are required for the maintenance and regeneration of serotonergic neurons in planarians. The Retinoblastoma pathway regulates stem cell proliferation in freshwater planarians. Dev Biol. 2013 Jan 15;373(2):442-52. 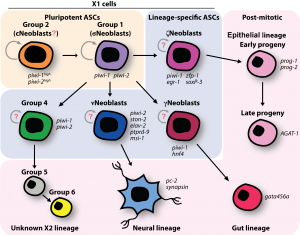 Genome-wide analysis of the bHLH gene family in planarians identifies factors required for adult neurogenesis and neuronal regeneration. Cowles MW, Brown DD, Nisperos SV, Stanley BN, Pearson BJ, Zayas RM. 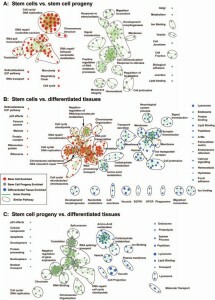 A comparative transcriptomic analysis reveals conserved features of stem cell pluripotency in planarians and mammals. Labbé RM, Irimia M, Currie KW, Lin A, Zhu SJ, Brown DD, Ross EJ, Voisin V, Bader GD, Blencowe BJ, Pearson BJ. Proteomic profiling of the planarian Schmidtea mediterranea and its mucous reveals similarities with human secretions and those predicted for parasitic flatworms. Bocchinfuso DG, Taylor P, Ross E, Ignatchenko A, Ignatchenko V, Kislinger T, Pearson BJ, Moran MF. Mol Cell Proteomics. 2012 Sep;11(9):681-91. TORC1 is required to balance cell proliferation and cell death in planarians. Tu KC, Pearson BJ, Sánchez Alvarado A.
Dev Biol. 2012 May 15;365(2):458-69. A planarian p53 homolog regulates proliferation and self-renewal in adult stem cell lineages. Pearson BJ, Sánchez Alvarado A.
Formaldehyde-based whole-mount in situ hybridization method for planarians. Pearson BJ, Eisenhoffer GT, Gurley KA, Rink JC, Miller DE, Sánchez Alvarado A.
Dis Model Mech. 2008 Sep-Oct;1(2-3):131-43. 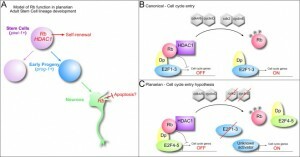 Regeneration, stem cells, and the evolution of tumor suppression. Cold Spring Harbor symposia on quantitative biology. 2008; 73:565-72. Ochi H, Pearson BJ, Chuang PT, Hammerschmidt M, Westerfield M.
Dev Biol. 2006 Sep 1;297(1):127-40. 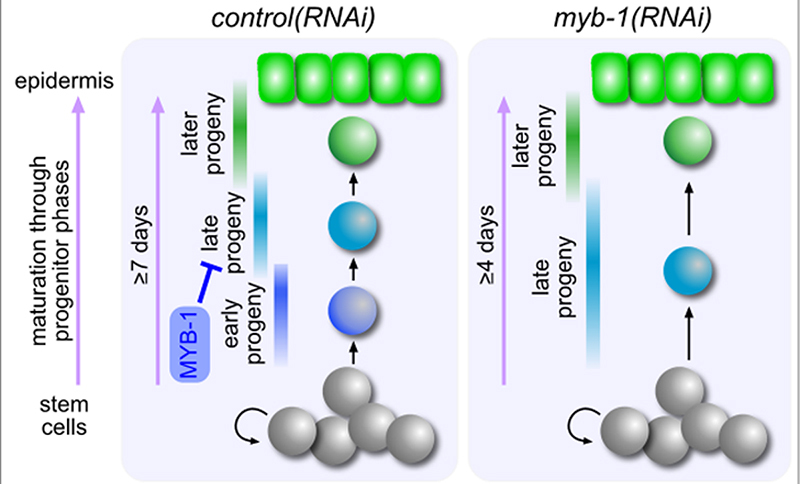 Regulation of temporal identity transitions in Drosophila neuroblasts. Grosskortenhaus R, Pearson BJ, Marusich A, Doe CQ. Specification of temporal identity in the developing nervous system. Annu Rev Cell Dev Biol. 2004;20:619-47. Review. Molecular characterization, functional expression and tissue distribution of a second NCKX Na+/Ca2+ -K+ exchanger from Drosophila. Winkfein RJ, Pearson B, Ward R, Szerencsei RT, Colley NJ, Schnetkamp PP. Regulation of neuroblast competence in Drosophila. Potassium-dependent sodium-calcium exchange through the eye of the fly. Webel R, Haug-Collet K, Pearson B, Szerencsei RT, Winkfein RJ, Schnetkamp PP, Colley NJ. Annals of the New York Academy of Sciences. 2002; 976:300-14. 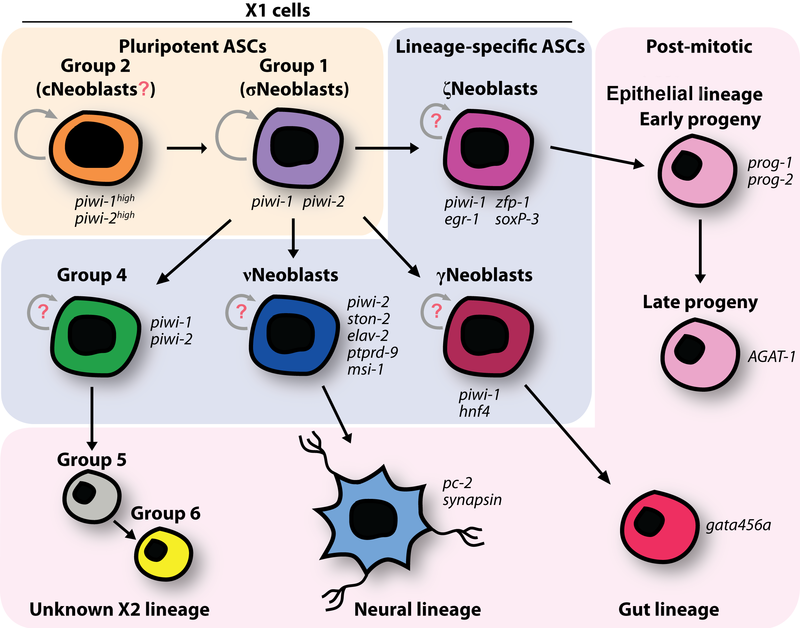 Drosophila neuroblasts sequentially express transcription factors which specify the temporal identity of their neuronal progeny. Isshiki T, Pearson B, Holbrook S, Doe CQ. The homeobox gene lim-6 is required for distinct chemosensory representations in C. elegans. Pierce-Shimomura JT, Faumont S, Gaston MR, Pearson BJ, Lockery SR.
Cloning and characterization of a potassium-dependent sodium/calcium exchanger in Drosophila. Haug-Collet K, Pearson B, Webel R, Szerencsei RT, Winkfein RJ, Schnetkamp PP, Colley NJ. The Journal of Cell Biology. 1999; 147(3):659-70. 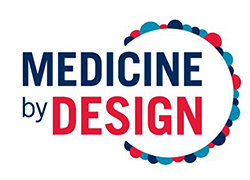 We are currently looking for talented postdocs, graduate students and bioinformaticians.